I’d heard of Monte Testaccio. I’d seen photos of it. But I’d never appreciated how truly enormous and wonderful it is until Mary Beard took us to Meet the Romans on Tuesday evening and clambered down a ladder into the middle of it. 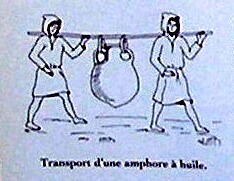 The burly lads on the docks might have been able to handle that kind of weight, but nobody was going to carry one of those things home from the shops. Once off the boat, the oil would have been decanted into smaller containers. The empty amphorae were apparently too rancid to recycle and it certainly wasn’t worth the effort of shipping them back to Spain, so they were broken up and dumped. Over the years, the pile grew, as rubbish piles do. Eventually it was fifty metres high. 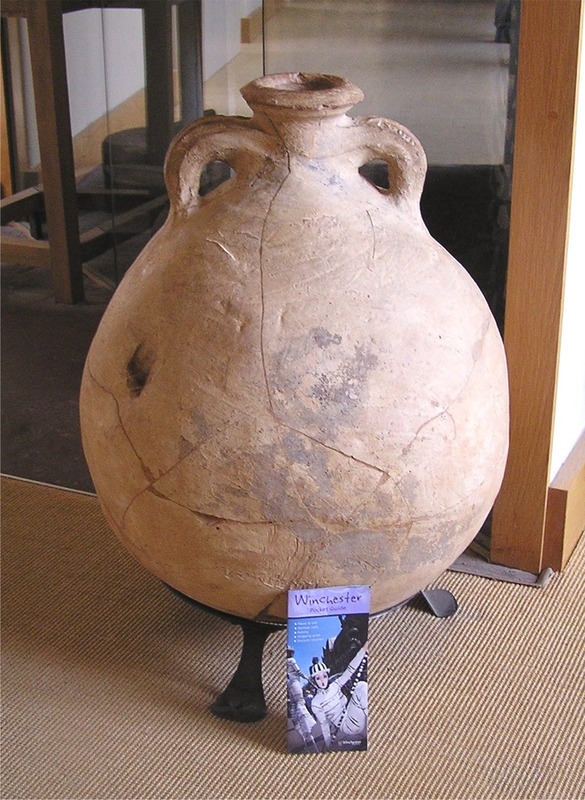 What really interested me about all this was that Spanish oil amphorae often turn up on British sites too – and not just in places where you might have expected to find soldiers or Imperial officials. For the supergeeky, there’s a distribution map here, and it includes a dot in Northamptonshire. One of the points made in the programme was that ‘Roman’ was not necessarily a description of your birthplace. With good luck and a lot of determined effort, it was something you could become. Standing in a sunny Northamptonshire field, as I frequently do on a summer’s day, it’s easy to imagine the ancient residents gazing past their smart new bath-house and across the valley to where their neighbours’ villas adorned the distant hillsides. And it’s easy to imagine them feeling a fleeting sense of satisfaction.